Let's start the month of May with another healthy smoothie recipe. Smoothies have made it back on my lunchtime menu in a big way. That's why you are seeing them here on the blog. Smoothies seem to be a spring ritual for me. That's probably because I start thinking about the beach and bathing suits. Today's smoothie is a pleasing blend of fruits and vegetables that deliver the nutrients you are looking for and tastes good. It is an appealing color as well. 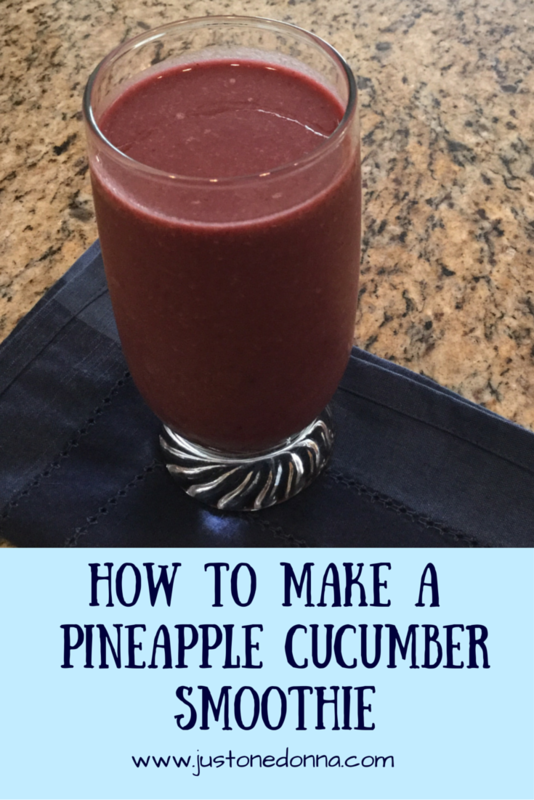 That makes this pineapple cucumber smoothie as pretty to look at as it is tasty to drink. preparation simple, I keep a supply of fruits and vegetables on hand in my freezer so I'll always have the ingredients for a nutritious smoothie available. I package the fruit and vegetables in individual plastic zip-top bags pre-measured in half-cup servings. Completing the cutting and chopping in advance reduces the preparation time. Having the fruits and vegetables already portioned out in the freezer also makes clean-up a breeze. That means I'm more likely to prepare a smoothie during the week because I won't have to spend any extra time on the clean-up. 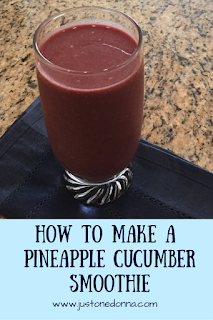 The ingredients in this smoothie are pineapple, cucumber, beet, kale, banana, strawberries, pomegranate juice, almond milk and flaxseed meal. One 184 calorie serving delivers 95% of your daily vitamin A, 82 % of Manganese, 53% of vitamin C, and over 25% of required vitamin B-12, vitamin E, and calcium. If you don't like the earthiness of the beet, you can leave it out for a brighter taste. I'm trying to add more beets to my diet so I sneak them into my smoothies whenever I can. Place the ingredients in your single serving blender in the order listed. Blend on high for 20-30 seconds, until smooth. 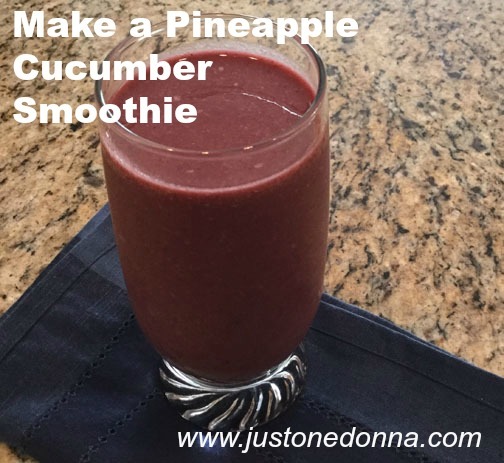 Use frozen fruit and cucumber for a thick smoothie.